Enhanced SharePoint Experience. Delighted Employees. With the help of Imaginet's SharePoint team, one international consulting company was able to delight their employees with a newly rearchitected SharePoint employee portal and improved automated workflows that integrated with Microsoft Teams and Flow. 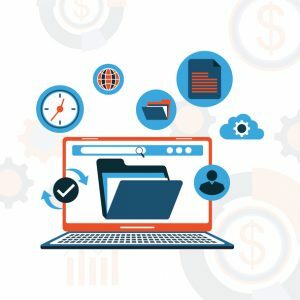 An international software consulting company had an existing Microsoft Office 365 SharePoint environment that had become extremely disorganized and difficult to use as a result of content sprawl and a cluttered information architecture. In addition, their current SharePoint environment included older automated workflows that couldn’t leverage some of Microsoft’s newer technologies (like Microsoft Teams, Flow, and Azure Functions), making updates and enhancements to those workflows much more challenging. As a result, these issues with their SharePoint workflows and architecture caused their current SharePoint environment to become very troublesome to use and maintain, ultimately leading to end user frustration and poor user adoption. This international consulting company turned to Imaginet to help them rebuild their SharePoint workflows and architecture in order to better delight their internal SharePoint users. This initiative would include a SharePoint migration effort to restructure their existing content in order to follow current Microsoft best practices by flattening the overall architecture of the SharePoint sites. Additionally, this initiative would also upgrade and improve their automated workflows by integrating new Microsoft technologies into SharePoint, like Microsoft Teams and Microsoft Flow. Working with the client’s Communications team, Imaginet performed a SharePoint Assessment of their current environment and interviewed employees at various levels of the company to determine their business requirements. 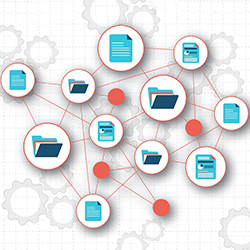 The information from the assessment and interviews were used to produce a set of critical deliverables, such as the information architecture, governance model, and more. These documents would then be reviewed by the steering committee, and once approved, they would be used to plan the migration and the SharePoint site build efforts. The first major implementation task was to split out the “Projects” area on its own into a separate SharePoint Hub Site, which would serve as the designated area for all project related work companywide. This task included the creation of a newly revamped automated workflow to handle their custom Project Setup process. Leveraging Microsoft Flow and Azure Functions, this new Project Setup workflow would: (1) create new project sites on demand, (2) configure the appropriate Office 365 Groups and Microsoft Teams’ teams for the new project, and (3) alert relevant parties like Financing and Project Managers via email whenever a new project is created. The second major implementation task was to restructure and migrate the other department sites (such as “Marketing”, “Sales”, “Human Resources”, etc.) to the new SharePoint Online environment and to ultimately implement a brand new employee information portal. The goal was to ensure that the new SharePoint portal was completely streamlined, intuitive to use for both existing and new users, and easy to navigate. This SharePoint portal would also serve as a Hub site to all the migrated department sites. Once the new SharePoint employee information portal and “Project” Hub Site were completed, the entire SharePoint experience for the company’s employees was significantly enhanced, boosting user adoption and delighting their SharePoint users.